In fact I’ve spent some time shopping, sewing and photographing for the upcoming fundraiser, and thought I should keep the suspense going by posting an update. You’ve seen the shrines, you know that Sinnamin has donated two plushies, and that a number of other fan items have been donated from far and wide. Also, if you are an observant reader, my post from 27 March might have attracted your curiosity. 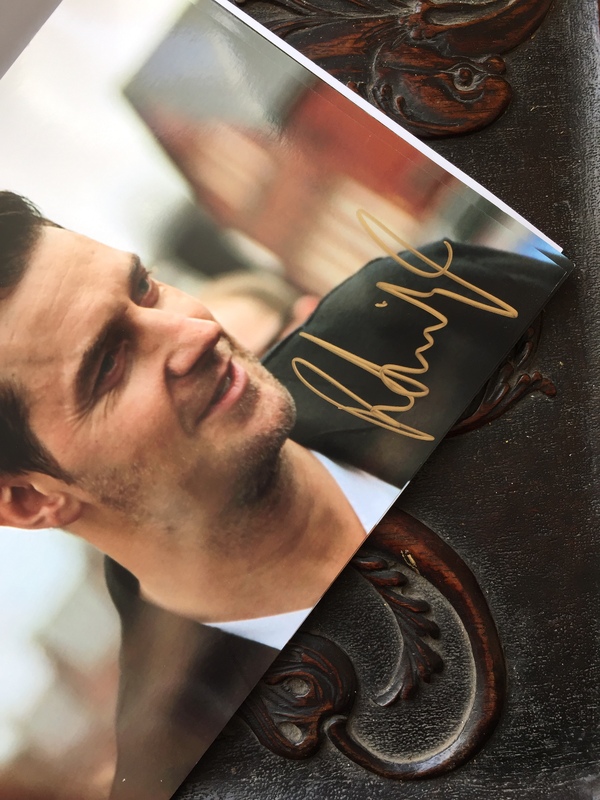 It contained a picture of an autograph… Richard was kind enough to sign some of my pictures. This time ’round, I sent him prints of my Leeds loot and Richard graciously returned the four pictures signed. I am throwing all four autographs into the auction, all bar one framed and ready to adorn your walls. The full details of the items on offer will be posted prior to the start of the auctions here on my blog. Like previously, I am going to conduct the bidding via eBay – which means less work for me and absolute certainty for you that your bids are being recorded and analysed properly. If you want to make sure you find the individual auctions, be sure to follow me on eBay. Just click on “follow” on my eBay page. I will post individual links here on my blog, too. – As in the previous auction, I am also going to offer up a ‘Custom RAPS’. The auction for that will be conducted via e-mail, though. In total, I have got 13 (thirteen!!!) individual auctions on my list so far. Is that an unlucky number? Should I sew something and throw that in for a 14th auction? I am hoping that we will have a variety of items on offer for every taste and budget. More info to come over the next few days. 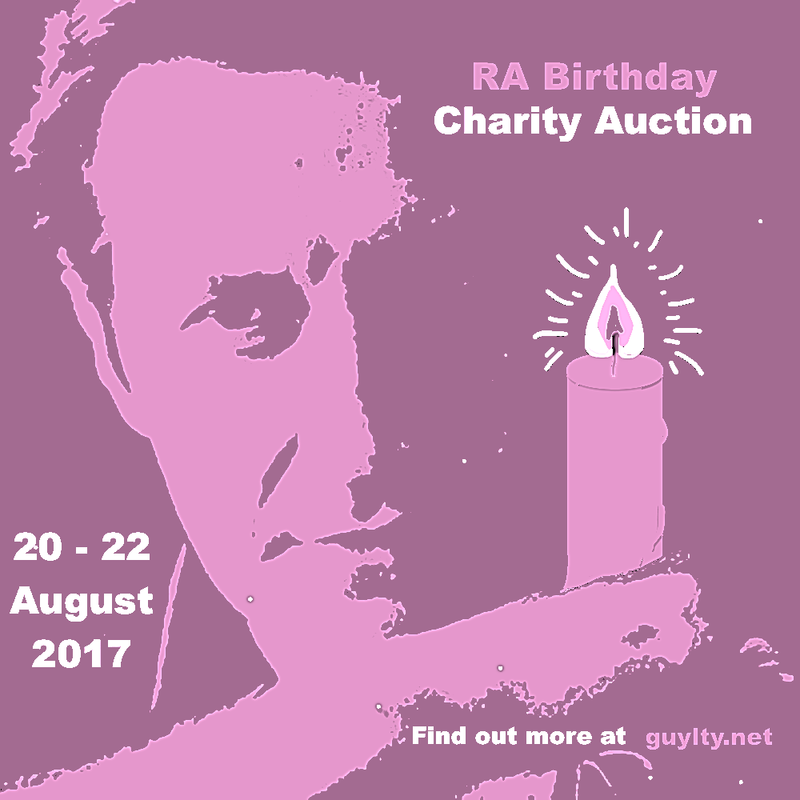 In the meantime, keep sharing the love – and the auction announcements. Like previously, I am going to raffle a prize among all of the lovely helpers who have helped spread the word. So be sure to let me know if you have reblogged this post here, on tumblr, or elsewhere, of if you have retweeted, pinned on Pinterest, mentioned on Instagram or posted on Facebook. Hooray 😀. That’s what I was hoping for. Wow, things are coming together nicely. Anticipation growing like Gandalf’s beard. LOL – loving your similes. Gandalf’s beard is majestic indeed. Reblogged on Tumblr. 🙂 Wish I was as organised as you, it will be a last minute edit as usual to mark Richard’s birthday. Next year……….. I hope so. There are lots of small and big things on offer, so hopefully we’ll get some nice bidding going. Have Mercy!!!! Is that a neck mole picture????? Damn, I can’t believe I missed this comment… especially as it contains a neck mole reference… Sorry! I’m ready! Is guylty.net a new site? I can’t get it to come up. I bought myself a new domain name, so Guylty.net is my own URL and replaces the old guylty.wordpress.com. But not to worry, the old URL automatically transfers to the new one, so all is well. I guess I will have to make an eBay account then. ☺️ Sorry, yes… but it’s pretty straight-forward, Salakonn.